The effective and fun-filled way to teach spelling to elementary students The Spelling Teacher's Lesson-a-Day gives teachers 180 engaging and ready-to-use lessons-one for each day of the school year-that boost spelling skills in students grades 3-6. These lessons may be used as «sponge» or «hook» activities (five-minute lessons to start off each school day) or teachers may simply pick and choose activities from within the book for the occasional spelling lesson. Fry teaches spelling patterns by contrasting homophones (like-sounding words) to help students recognize these spelling patterns in more complex words. He also boosts students' spelling skills by demystifying contractions, abbreviations, capitalization, silent letters, suffixes and prefixes, and more. 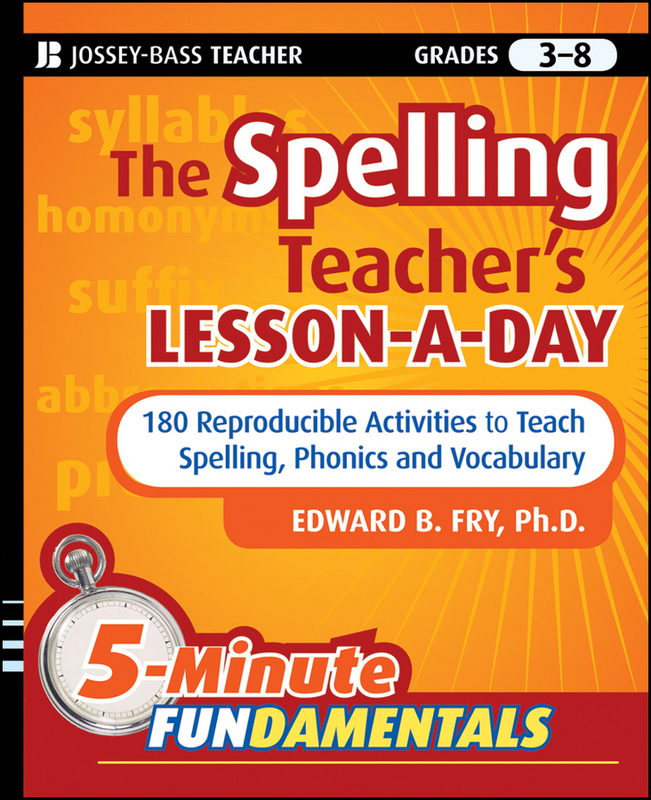 Offers an easy-to-use method for teaching spelling that has been proven to be effective Includes 180 ready-to-use, reproducible lessons-one for each day of the school year A new volume in the new series 5-Minute FUNdamentals This book is designed to be used by classroom teachers, homeschoolers, tutors, and parents.